The air on this crisp, clear Saturday morning in Dublin is the exact same temperature oysters and white wine are best served at. I know because I’m sitting outside at a picnic table alternating slurps of one and sips of the other between bites of soda bread at Temple Oyster Bar. Normally at this hour I’d be sticking to coffee, but when shucker Stephen tells me, “These oysters were in the Atlantic yesterday,” I just can’t resist. Saline, silky and almost icy cold, the plump little oysters beat a bowl of All-Bran any day. I’ve always believed that if you want to get to know a city the best place to start is with its markets. Since I’ve come to Dublin to get a taste of the city’s food scene I’m starting at The Temple Bar Food Market, one of the best in all of Ireland. In addition to those spectacular oysters the weekly market fairly bursts with great piles of local produce: vibrant carrots, dirt still clinging to them, pristine heads of cauliflower, great, green leeks, plump Irish apples and, of course, potatoes galore. Wandering among the stalls I stop for bites of sharp, local farmhouse cheddar, spicy smoked salami and a complex, locally produced chocolate. A couple of oatcakes with some port jelly later and I’m set for the day. The vibrancy of the farmer’s market is a good sign for the restaurants that utilize the same produce, so I’m checking out how these ingredients are being put to use in some of Dublin’s best kitchens. My first stop couldn’t be further from the simple surroundings of the market. Plush, blue banquettes surround linen covered tables bristling with slender wine glasses at The Greenhouse, a restaurant that’s pure sophistication. Here, chef Mickael Viljanen, a Finn who’s worked in Ireland for years, brings a bit of a Scandinavian aesthetic to Ireland’s best ingredients. He bakes celeriac for a soft agnolotti filling and dresses it with a creamy celeriac sauce before shaving truffles over everything. His dish of Sika deer pairs the tender venison with sweet beetroot balanced by fermented rhubarb. This is thoughtful, intelligent cooking that isn’t afraid to have a bit of fun. A rich dessert chocolate bar layered with caramel and peanut with banana ice cream is the kind of thing I’d have once chased an ice cream truck 10 blocks for. Delicious food that doesn’t take itself too seriously is something of a hallmark for cooking in Dublin right now. Consider The Pepperpot with its bright pink logo of a crow silhouetted onto a doily and brightly frosted cakes displayed on vintage stands beside the till. Situated in the glass covered courtyard of the renovated 17th-century Georgian party house that is now the Powerscourt Centre, the restaurant blends in perfectly with the surrounding collection of quirky antique shops, local designers, and galleries. While simple, the food makes the most out of Ireland’s best, mostly organic, ingredients. In addition to those cakes, there are also dynamite scones served with homemade jam, savoury tarts filled with seasonal ingredients and porridge that’s just right. 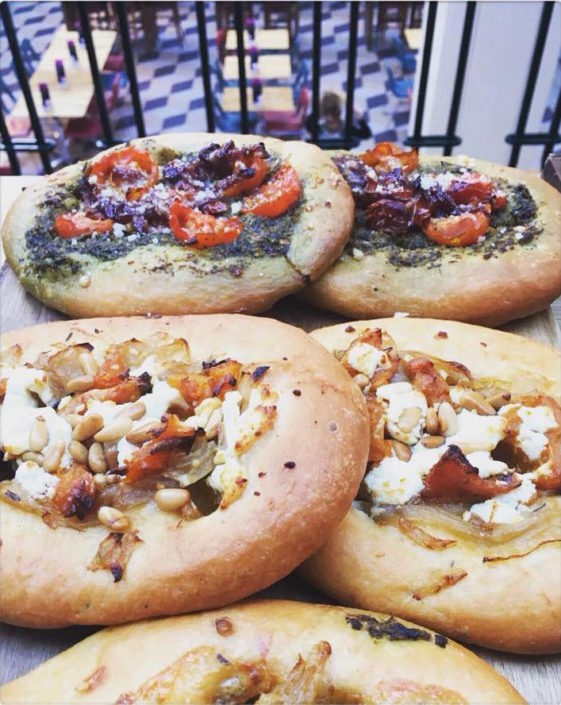 The blending of good food and good fun is woven deeply into Dublin’s food culture. This is the home of Guinness, after all. For more than 250 years the famous Irish dry stout has been brewed at the St. James’s Gate Brewery near the heart of the city. Today it’s still a functioning brewery and a major tourist attraction. Walking into the Guinness Storehouse I’m immediately struck by the vast openness of the space. “It’s designed to look like pint glass,” the tour guide tells me, as I stare gapingly up into the cavernous central space. “They figure it could hold more than 14 million pints if they filled it,” he adds. Considering they produce 5 million pints of beer here every day it’s not inconceivable. It’s fascinating to learn about the history of the brewery and to discover a bit about how it’s made, but I’m really here for a pint and some classic Irish fare. Gilroy’s – named after John Gilroy, the artist behind those legendary Guinness ads – offers great views over the rooftops of the brewery and uses Guinness in just about all of its recipes. Sweet and dense Guinness bread serves as a spread for a creamy smoked mackerel pate infused with Guinness. Carlingford Lough mussels are cooked in it, Hereford beef is marinated in it and it even appears in a sweet, soft, dark chocolate mousse. The only decision is whether to pair lunch with an Extra Stout, a Foreign Extra Stout or a draught. If my meal at the Guinness Storehouse was an education in brewing, my final and favourite meal in Dublin offers a lesson in just how delicious Irish ingredients can be in the hands of a creative chef. The Pig’s Ear, overlooking the sports fields of Trinity College, is the domain of chef Stephen McAllister, Ireland’s chef of the year for 2014. His is one of the smartest, most playfully imaginative menus I’ve seen anywhere. 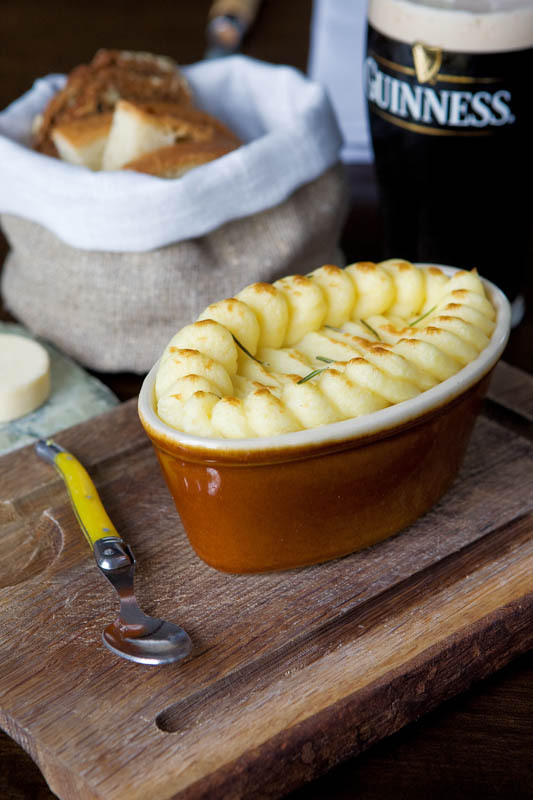 In addition to the spot-on renditions of classic comfort dishes like Shepherd’s pie with Lough Erne Lamb or simple bacon and cabbage that the chef runs as daily specials, he also uses his talents to push the native cuisine further. Veal, served as a finely chopped tartare, derives sharpness and acidity from redcurrants, a herbaceous kick from fresh tarragon and textural intrigue from fried sourdough shards. He pan fries a plump filet of cod to glistening and supports the natural flavour of the fish with dillisk, a type of local seaweed. A sort of salad of fried winter greens with almonds is dressed with cider and dill oil in a dish that is at once light and complex. The hyper-local Gur cake, a type of pastry with a sweet dried fruit filling that was originally made with the leftovers from the bakery, is here turned into a rich ice cream served with milk jam and toasted nuts. In many ways, this dessert sums up exactly what makes modern Irish cooking so dynamic and exciting. A cuisine with humble origins is being treated with care and imagination and playfulness and the results are as sophisticated as they are delicious.